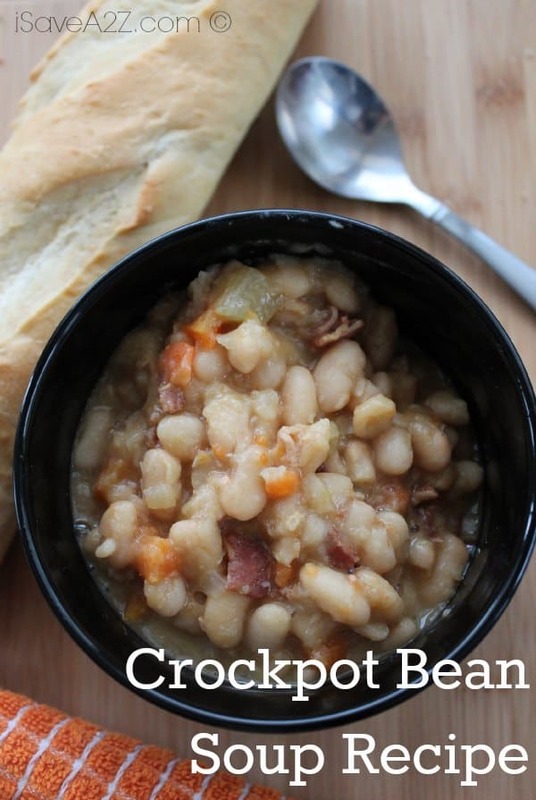 Alright, check out this fantastic Crockpot Bean Soup Recipe! This soup is ABSOLUTELY delicious, and definitely worth trying! It’s a slow cooker, but the effort in waiting is 100% worth it! Check out some of our other great recipes using the Crockpot, such as our Mexican Dip Recipe, French Toast Recipe, and even our Chicken Noodle Soup Recipe! Try some other Slow Cooker Recipes! Sort beans and remove any debris or rocks. Rinse beans under cold water. Fry bacon in skillet till crispy. Hope you enjoy! If you like this recipe be sure to PIN IT here! Follow us on Pinterest too so you don’t miss anything! 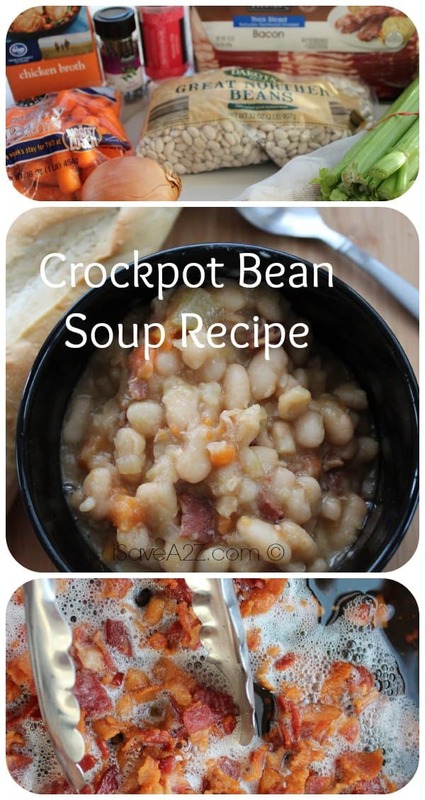 By Megan on March 26, 2015 Crockpot, Recipes, Soups.